The new, exquisite stone veneer collection, inspired by the dramatic British coast. 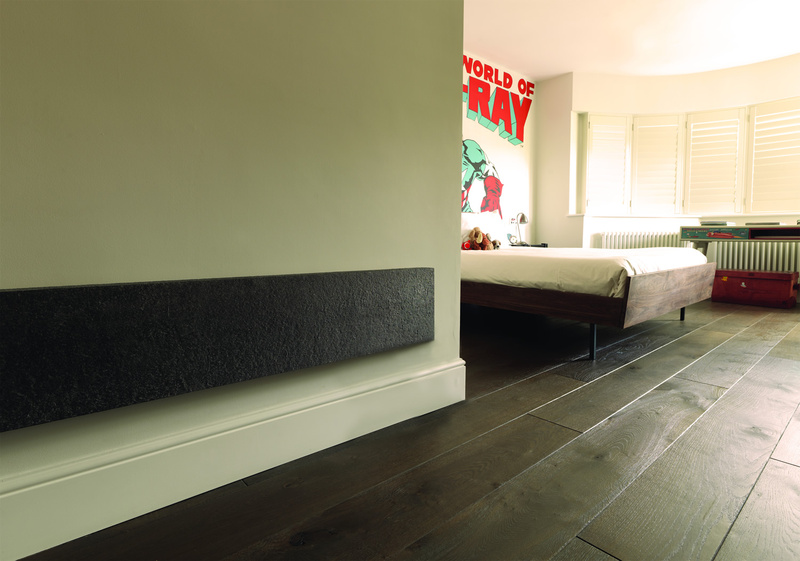 Part of Eskimo’s Outline radiator range, the original flat panel design for lovers of clean lines. 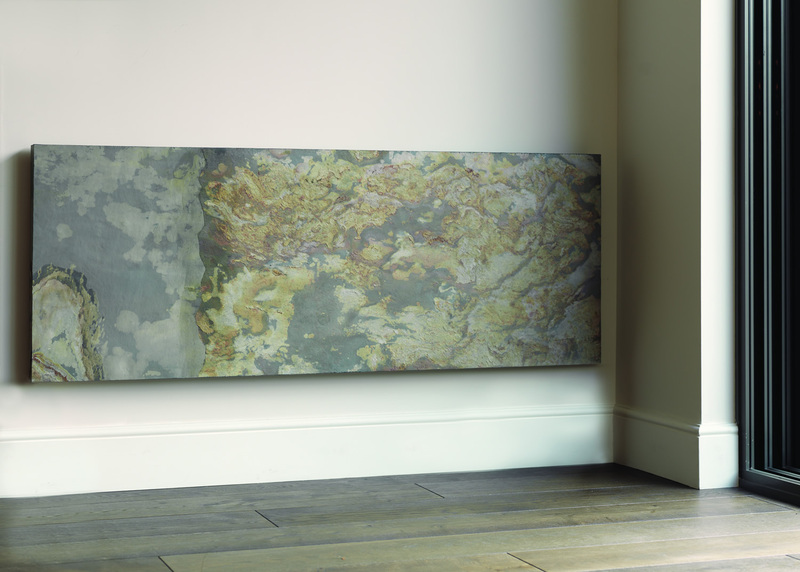 The Outline radiator range is a modular aluminium, high output radiator ‘engine’, encased within various stunning options of front fascia panel. Stone being a natural finish, it offers the most exciting variations in colour, pattern, shape/movement/formation. The great news is that your Cliff radiator is always a ‘one off’ unique piece. The bad news is that Cliff is not for the control freaks out there. The nature of this collection means that you have to get back to nature a little bit and let Eskimo help you to let go. Cliff is as natural as it’s namesake (of the vertical rock wall variety rather than the Richards version). The geological production process that made Cliff so gorgeous took millennia to complete so don’t expect precision in this finish. If that is what you need then Cliff is not for you. 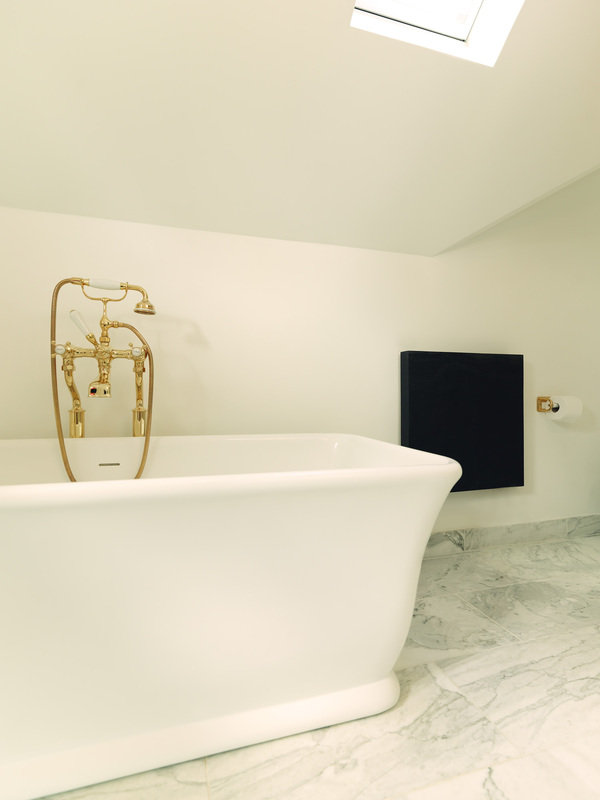 Cliff hangers make for great drama, they also make for great towel rails to create a high performance radiator and towel warmer combined. Cliff Hangers: Towel hanging rails in chrome can be added. Available in two standard depths and 25 standard sizes. Bespoke sizes are also readily available – we make Outline radiators to the nearest millimetre to fit odd spaces and match existing pipe centres, reducing your installation costs. See our size and price section. Contact us for price and heat output on bespoke sizes. 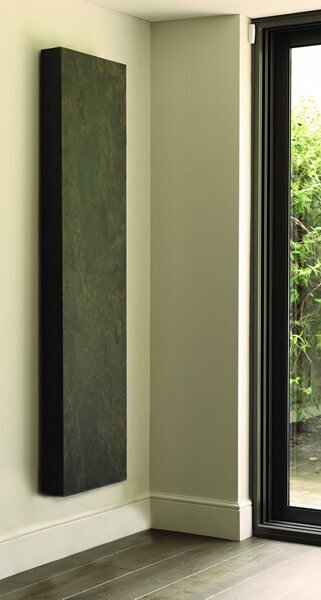 You can specify Hinge & Bracket so that the monolithic stone panel appears to “float” just off of the wall with the radiator function disguised yet still accessible so that you have full thermostatic control. See pg 50 for further information. Hydronic or electric models are available in this Outline radiator range. The Cliff finish is a natural stone veneer with a high degree of surface texture. As such there is a greater potential for dimensional variation. Please allow for a dimensional tolerance of +/- 6mm in the size of the radiator. 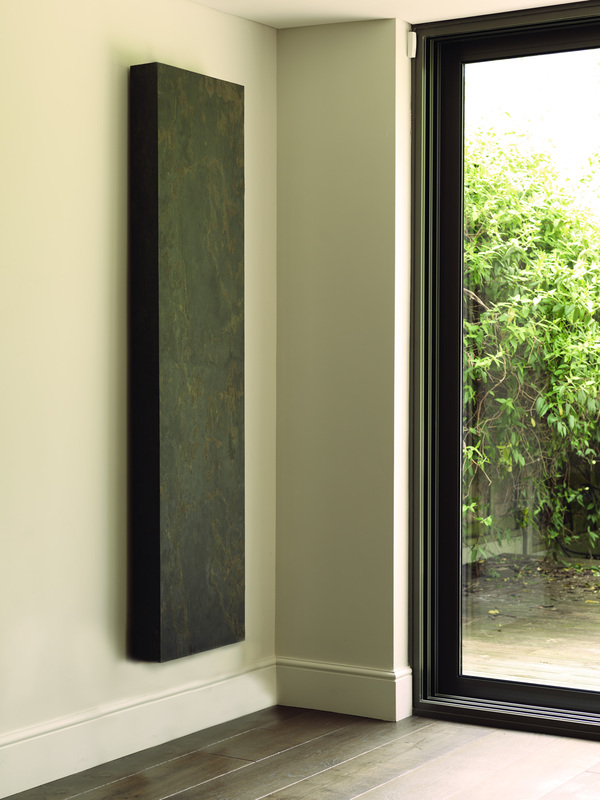 A soil/earthy colour palette with hints of dark chocolate brown, anthracite greys and moss green hues. Cool greys with a sparkling surface finish. Very dark mat slate grey to almost black. Hinge & Bracket, access to controls, is available. Hidden manual valves, no access, also available.